Most merchants choose a payment processor because of their “unbeatable” teaser rates or their cheap terminal contracts. Those merchants are typically the ones that get burned for looking for the quickest and easiest deal. However, it’s not your fault that you want to save money. That’s why we recommend taking a closer look at the services provided, rather than the price tag. We’ll list some Colorado Springs credit card processing services that help you save money, while assisting with every specific task your business needs. Having a tough time setting up your Colorado Springs credit card processing services because your sales rep doesn’t have time for you? Is the cost of setup already putting your business budget back? Our PayFrog sales reps have no problem finding a time that fits your schedule to teach about and set up your new equipment. We primarily use PayJunction technology for our merchants. We whole-heartedly support their product because it’s user friendly and easy to learn. Also, we are a certified reseller for them, so we know their tech inside and out. Just in case you have any troubles, we provide dozens of videos about the tech. Yes, this is one of our free Colorado Springs credit card processing services as well. If that’s not enough, we don’t charge contract exit fees, monthly, annual, or gateway fees. Other features include recurring billing, secure cloud software, and paperless receipts. Ultimately, there’s no reason to not have all of the cool features and Colorado Springs credit card processing services possible. If you’d like to talk with a representative about which ones to add onto your new account, use our chat feature on our website or schedule a meeting. Get emailed industry news and insider tips. PayFrog is a family owned and operated company based in Colorado Springs, CO. We’ve been in the merchant services industry since 2010. 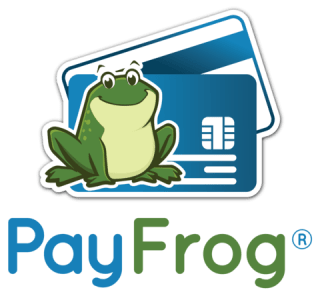 PayFrog represents people in business, non-profits, and government organizations and helps them to get the best pricing and technology for electronic payment processing. Copyright © 2019 MerchantCardServicesPro.com. All rights reserved. Agreed to pursue education credits as a requirement of recertification every three years. The BBB Standards for Trust are eight principles that summarize important elements of creating and maintaining trust in business.